It’s that time of year again! Summer is coming to a close, kids are heading back to school, and the hot Raleigh heat is slowly starting to back away. Before we know it, the year will be coming to a close. For those with dental insurance, it is time to renew, change plans, and begin thinking about remaining benefits for the year. Most dental insurance plans run on a calendar year which means they will renew on January 1st. Therefore, each December our office receives several frantic requests to get in before the end of the year. If dental benefits do not get used, they simply disappear; most dental insurance plans do not have rollover benefits. If patients do not get in before the end of the year, many needs go unaddressed due to the shortage of time before the holidays. September is a great time to get in for a dental appointment before the end of the year! It is an ideal time for cleaning appointments. Moreover, if any restorative work is needed, there is still time to use insurance benefits before the end of the year. If you have not been to the dentist this year, or longer, there is no better time to get in! Getting a cleaning will make you and your teeth feel better! Additionall y, it is a great time to reevaluate your dental insurance options. If you are purchasing your own dental insurance, or even paying a portion towards a plan your employer provides, our new ACDC Dental Savings Plan saves you money! 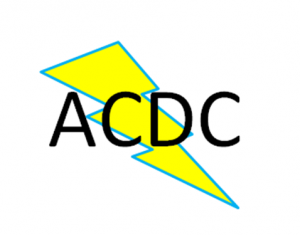 You may Click here to read about our ACDC membership plan. As always, all of us here at Adams and Cheek Dentistry are happy to help answer any questions. Call (919)866-1360 or click here to schedule your September appointment today!